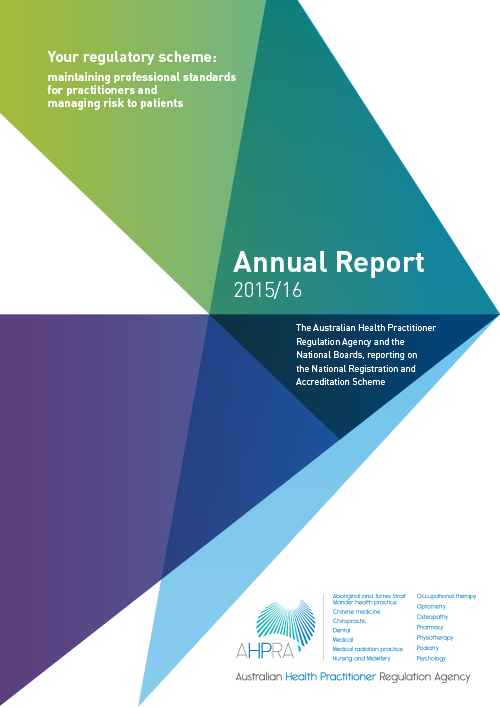 The following documents contain information in addition to what is published in the AHPRA Annual Report 2015/16. These documents are available for download in PDF and accessible formats. In addition to its annual report, AHPRA publishes individual state and territory summaries to give more information about each region’s activities, and more detail on registration and regulation statistics. The 14 National Boards each publish a profession-specific summary, with more information on Board activities and more detailed registration and regulation statistics.